Wide Aero Clamps offer the rider a wider arm stance than standard. Width between the extensions ranges from 105 mm to 270 mm. (Standard Aura Pro model has 80-mm spacing.) Pad/cradle fixings are set in a curve so as to angle inwards and better support the rider's elbows in a wide-aero stance. 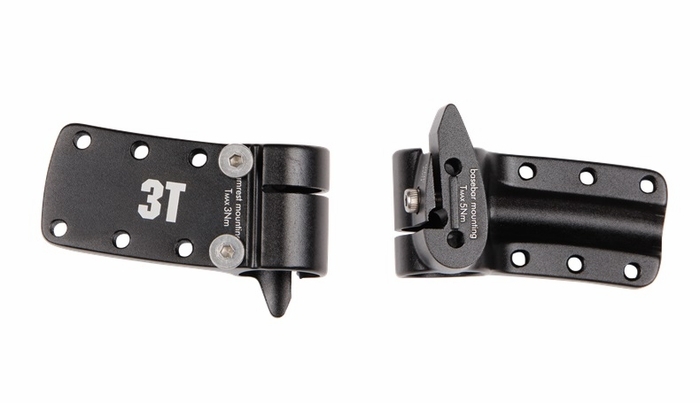 Wide Aero Clamps fit Aura and Brezza II aerobars, and can be used to convert Zefiro and Mistral to standard extensions.